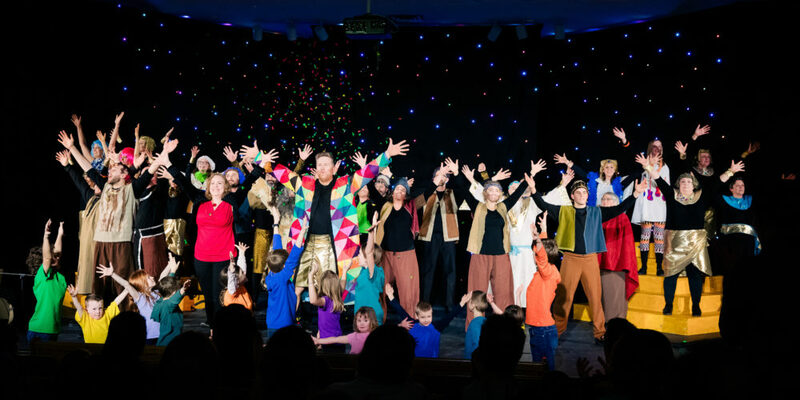 For the last 4 months, our family and 50 other members of our church community have been working hard to put on the Musical, Joseph and the Amazing Technicolor Dreamcoat. We’ve spent countless hours rehearsing the music, learning dance numbers and blocking for each song. It’s been such a huge undertaking and this week its all come together as we’ve performed to 5 sold out audiences. This afternoon is our last and final show. Having our whole family involved has been wonderful, yet at times, has also been stressful since our kids are currently 4 and 5 years old. However, the long hours and time spent learning everything has all been completely worth it. Our kids love singing the songs and being up on stage in front of an audience. I haven’t performed on a stage in nearly two decades and for many of us involved, we don’t have any formal dance training. However, that hasn’t stopped us from learning new skills and having fun along the way. I’m thankful to be part of a community that has so much talent and heart. It’s amazing to think that everyone from the band, the cast, the tech crew and stage managers are all part of our church community. We are so blessed to have so many dedicated individuals who have volunteered their time and worked so well together over the past few months to see something so wonderful come together. I’ve had so much fun being a part of this musical and am so thankful for all the great memories it has created and all the friendships it has made. The cast ranges in ages from 4 to 64 years old. Having an inter-generational musical is what makes it so special. You get to sing and act alongside many people you might not necessarily know or interact with regularly on a Sunday morning. My husband, Chris and I were involved in our high school Musical of Joseph back in 1999. 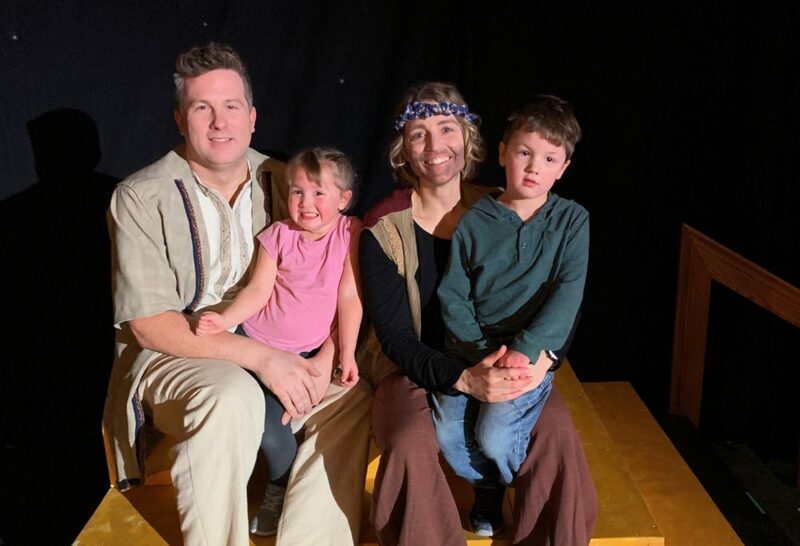 It was definitely a highlight for us and we have loved being able to make new memories of such a fun musical with our children. All too often, we find ourselves stuck in the same routine of daily tasks and work obligations and don’t venture out of our comfort zone. This has been a really good way of modeling the benefits of trying new things for our kids. I recognize this blog post is a little different than normal as it has not been about simplifying or decluttering. But I wanted to share one way our family has been creating some great memories through being involved in something altogether. This musical has brought a lot of happy memories that we will enjoy looking back upon for many years to come! What are some ways you enjoy creating memories with your family?